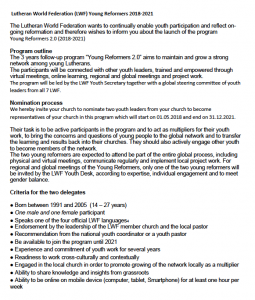 The Lutheran World Federation (LWF) is calling for two applicants from KELC to apply for the Young Reformers program. Applicants must be between the ages of 14 to 27. Check out the attached document for more information and all other application criteria. 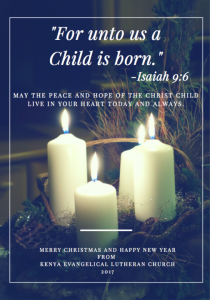 We wish you a blessed Christmas time and a prosperous New Year! 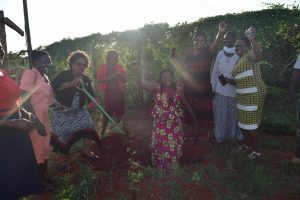 Kisii Mission, in Western Kenya, is the latest KELC community to host a seminar to learn about women’s issues. 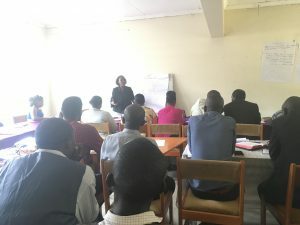 In December, a delegation from the Women’s Department, together with their partners from Hope Foundation for African Women facilitated a 4-day workshop to discuss the topics of Gender-Based Violence, Female Genital Mutilation, Human Rights, and Economic Empowerment. The facilitators used a new learning model called Popular Education (PE). PE engages all participants to collectively and critically examine their environment and everyday experiences, so that they can take control of their own learning and development. This style of learning requires a lot of active participation and discussion. 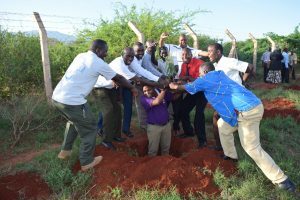 PE is a new style of learning for many people in Kenya. The participants in the seminar received it with excitement. Each successive day more people came to the seminar, as positive word of mouth had spread through the community of the new and engaging presentations. 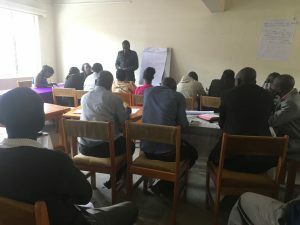 At the end of the seminar, participants responded that they learned about legal rights that they did not know they had, including rights concerning their health and their access to social services. Other participants shared that this seminar has inspired them to work together as a community to improve on the economic standing of the whole community, rather than letting jealousy divide them. Lastly, they learned that ordinary people can create change, even if only few resources are available. Together they can protect each other from gender-based violence and insist on their human rights, within their families and their communities. 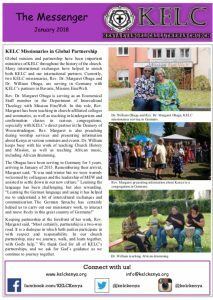 2017 will be a celebratory year for KELC. In February we will celebrate the 25th anniversary since becoming an independent church. In October we will join all Lutherans in celebrating the 500th year of reformation. Both of these commemorations will be important for KELC and our members. To ensure that we are able to spread the message of these anniversaries, we held a seminar for all of our church leaders to learn and share ideas about the history of our church, the current situation, and our future as a church. The first day of the seminar focused on the Lutheran Reformation. Rev. Luke Mwololo presented on the Lutheran World Federation theme, “Liberated by God’s Grace”. The participants than attended small group sessions on the 3 subtheme topics: Salvation- Not For Sale, Human Beings- Not For Sale, and Creation- Not For Sale. These subjects were presented by Rev. Luke Mwololo, Rev. Catherine Ngina, and Ms. Elizabeth Hendrickson, respectively. The day concluded with a session on the history of the reformation, led by Rev. Johnes Ole Meliyio. The next day we continued our discussion based on the information presented the previous day. 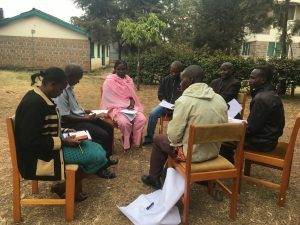 The participants were able to share their ideas on how these themes are lived out in daily life in Kenya, and within our congregations. Bishop Zachariah Kahuthu moderated the discussions and later provided inputs on the history and future of KELC as we reach this important anniversary of 25 years since independence. 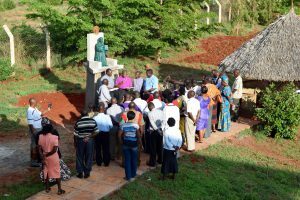 We concluded our time together with the dedication of a statue of Martin Luther, as well as the planting of 10 trees, all within the compound of Voi Lutheran Guesthouse. 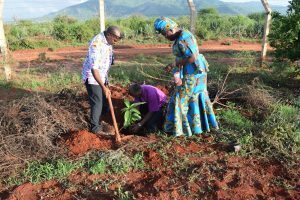 We look forward to continuing to celebrate these 2 important anniversaries within Kenya and with Lutherans around the world. The workshop held on 20/09/16 to 23/09/16 at Nairobi KELC head office. 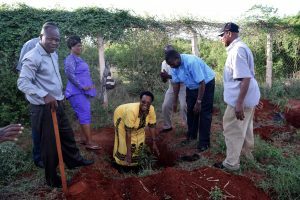 It had people from the areas which are likely to have disaster in Kenya. There were 33 participants. 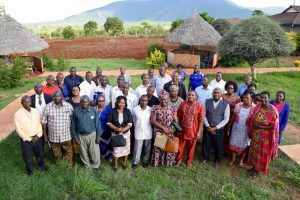 Represented areas were: Magarini, Lungalunga, Makindu, Garsen, Singwaya, Mombasa, Voi, Olkeria, Pokot, Mutyambua, Hola/Wenje, Salama, Malindi, Kajiando, Ukambani, Loitoktok, Marafa, KELC head office, and Kambu. A coming together of the people from the areas where there is high chances of calamities. To strengthen the capacity of Act Alliance. 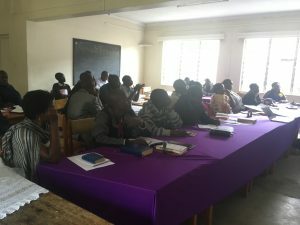 Because of time, what was delivered was the basic of it, where the teacher (Ann Wangari) suggested for another seminar for many days, so the teachings could be more effective. And also the same group should be back not another people. Lastly, we were introduced to contingency planning, which seems to be a bit tiresome. In groups we prepared the plan and we made it. It was a good experience and learning. Everyone who participated promised to bring a change in their respective areas. Evaluation of the whole seminar was 80% good.